The word ‘sustainability’ gets thrown around a lot. It is important to work out functional ways you can integrate sustainable and eco-friendly practises into your life! 4Core fitness is interested in how our practise can go greener. Read below for our 5 top sustainable training tips! Training people separately uses separate recourses. Come together in a singular space and feel part of something positive. The social aspect of group training brings people together with a common interest – to work hard and get fit. 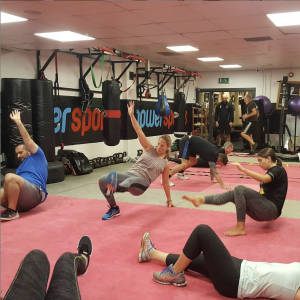 Group sessions create great natural energy and are an excellent introduction into fitness for beginners. Even those who usually enjoy solo workouts can benefits from group workouts. It can be challenging to sustain all your exercises when you train alone. Important training elements such as posture can be greatly improved using a second opinion. Take a break from relying on personal knowledge and discover something new. Create energy using less energy. Receiving support from a knowledgeable training guide ensures your workouts develop at the same rate your body does. 4 Core fitness runs group sessions daily. Check out our session timetable. Our training is open to those of ALL abilities. Routines are tailored to your level and the standard we set is specific to you – all while being part of the same group. Any questions? Contact us. 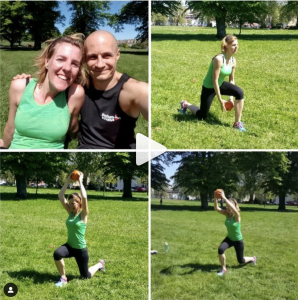 Medicine ball training in pairs. Learn to train your Core, injury free and gain better posture. 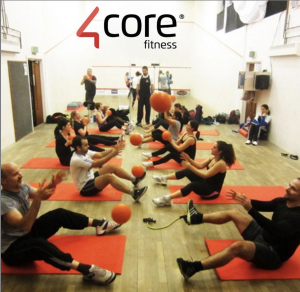 🔴 4Core fitness is located in Bristol. Ditch the fitness machines and make your workout more sustainable. 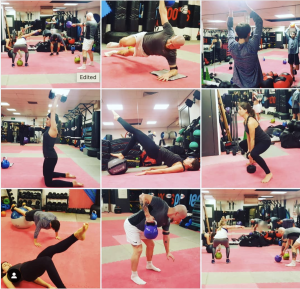 Body weight and HIIT (High intensity interval training) focused sessions are not just energy-efficient, they are great for building strength, getting to know your body and improving functionality. Health benefits of body weight based exercises include stronger bones and improved blood sugar levels. New research by Medicine & Science in Sports and Exercise suggests that body weight exercises can even lower your risk of colon cancer by 25%. The colon is found in the bowel and bowel cancer is the 4th most common cancer in the UK. A study published in The Physiology Society found that colon cancer cell growth in colorectal canter survivors was reduced immediately after a singular session on HIIT. Whilst much more research is needed into the benefits exercise can have on serious heath issues, there is no denying that taking the natural route and using what you’ve got as a means to building strong, toned muscle is a no-brainer. 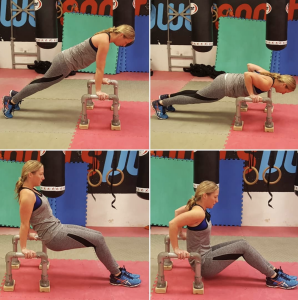 Check out some of the body weight exercises we get up to in sessions below. 1/28/19 Chest and abs. The evil half press with shoulder touches. V sit on the edge. Give it a go. Core, chest, triceps and many more involved. Hope you can get the picture! 10/10/18 Group pt 6:30am with the early birds at the back with @champy_fitness. No space to rest. We are taking bookings for 1:1 and group outdoor sessions in green spaces. This is perfect for those looking for some exercise support and guidance. Why not share the cost of a session with a friend or colleague? We can accommodate large and small groups. Please drop us a message if you would like to find a training partner and we will see if we can assist you. Use your time more efficiently. Save energy and money on gym transport and memberships! Receive top quality professional guidance anywhere at any time. Our online training plans work around you and your busy schedule. Our easy-to-follow exercises are designed in-house by our team of body composition experts! In 2018 the Fashion industry was dubbed the second largest polluter of our planet largely because of its destructive textile industry. Some of the main contributing areas are cotton production and toxic pesticides as well as company and consumer waste disposal. Always buy your sports wear or accompanying kit with the intention of your product lasting. Once you are finished with a garment, give it to charity! This creates a sustainable cycle. There are many UK brands designing sustainable gym-wear. Always buy organic products that were made fairly for the person who created the garments. Making small investigations into what you buy into makes more of a difference than you might think. Thanks for reading our post. The team at 4Core fitness hopes you found it inspiring! Don’t forget to… Visit our free training zone. For enquiries, please, Contact our team.